An Australian rail pass is an ideal way to cover massive distances cheaply while travelling throughout Australia. 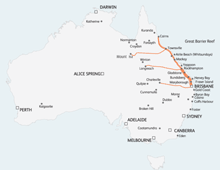 The best value Australian rail passes are the Discovery Pass, the Queensland Coastal Pass and the Queensland Explorer Pass. 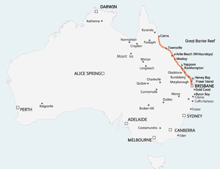 The Discovery Pass gives you unlimited travel within New South Wales plus interstate rail services to Brisbane and Melbourne on NSW Trainlink. 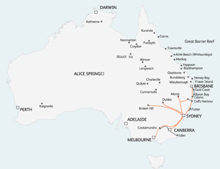 The Queensland Explorer Pass gives you unlimited travel on most Queensland Rail Travel Train services in Queensland. The Queensland Coastal Pass lets you travel by rail in one direction between Brisbane and Cairns making unlimited stops en route. Many travellers combine the Queensland Coastal Pass with the Discovery Pass to enable them to travel Australia’s east coast between Melbourne and Cairns.